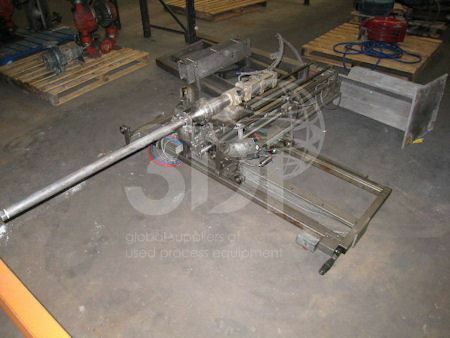 Used 25kg to 1000kg Boom Arm Filling Machine. This machine is a stand alone unit designed for foaming products filling 25kg and 200kg containers offered to the machine on a pallet or 1000kgs IBCs. 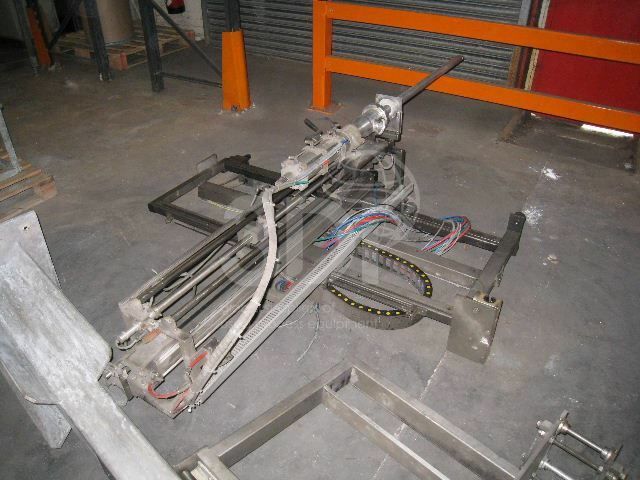 The nozzle is mounted on a hinged support arm and can span a 1400mm square pallet. Operator positioned to prevent contact with hazardous or volatile products. Bottom fill for foaming product nozzle remains immersed while filling (lifts with level of liquid). Please note section of boom arm is missing.